The Gilfillan 5B8 was offered in four colors, Red, Pink, Ivory and Bluish Gray; the cabinet is not painted but is made of colored Plaskon. 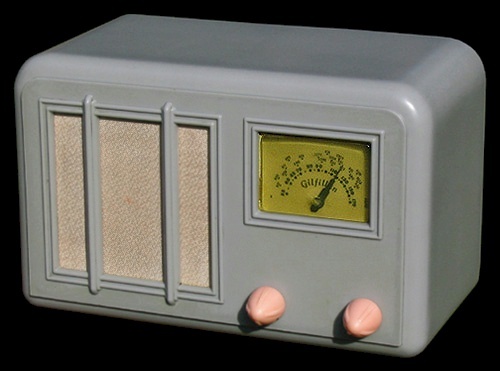 The dial is stationized with California radio stations. I purchased this radio at the 2005 IHRS/AWA spring meet that was held in Kokomo, Indiana.